Single room with a terrace. At the terrace there is a sofa and tea table. Furnished with a colorful wooden furniture with carving. Inside the room there is a big window with black-out glass which doesn't let to heat the room during the day. Room is equipped with mosquito nets. Every room has a fan. Bathroom is equipped with a shower, toilet, wash-bowl. Every room has a unique design. Twin bed room with a terrace. At the terrace there is a sofa and tea table. Furnished with a colorful wooden furniture with carving. Inside the room there is a big window with black-out glass which doesn't let to heat the room during the day. Room is equipped with mosquito nets. Every room has a fan. Bathroom is equipped with a shower, toilet, wash-bowl. Every room has a unique design. Double room with a terrace. At the terrace there is a sofa and tea table. Furnished with a colorful wooden furniture with carving. Inside the room there is a big window with black-out glass which doesn't let to heat the room during the day. Room is equipped with mosquito nets. Every room has a fan. Bathroom is equipped with a shower, toilet, wash-bowl. Every room has a unique design. Twin room with a terrace. At the terrace there is a sofa and tea table. Furnished with a colorful wooden furniture with carving. Inside the room there is a big window with black-out glass which doesn't let to heat the room during the day. Room is equipped with mosquito nets. Every room has a fan. Bathroom is equipped with a shower, toilet, wash-bowl. Every room has a unique design. Green, cozy, calm paradize in Lovina beach. SPA, healing, yoga, traditional food, adventure tours. 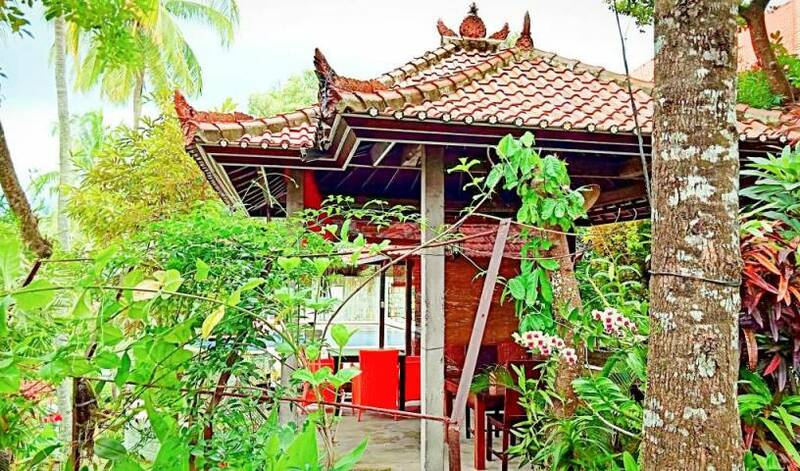 Lotus Guesthouse is a natural quiet place with a view of green mountain in northern part of Bali. Double Rooms located on the second or first floor. 35 sqm. Private entrance. Equipped with two single beds that can be transformed into king-size bed. Double Rooms with private verandas located on the first or second floor of beachfront bungalow. Private entrances. Equipped with king-size beds. Extra single-bed subject to surcharge. 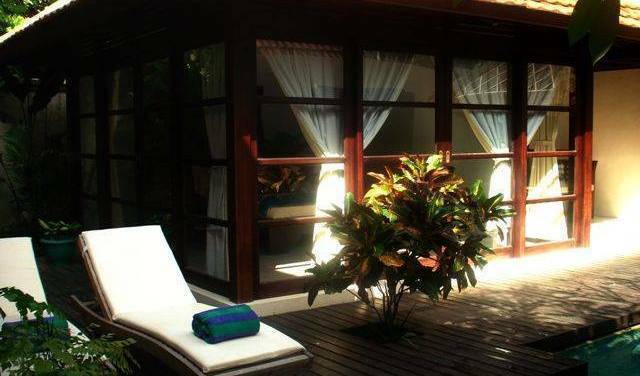 Double room with king-size bed, private veranda facing Bali sea, located on the first floor. 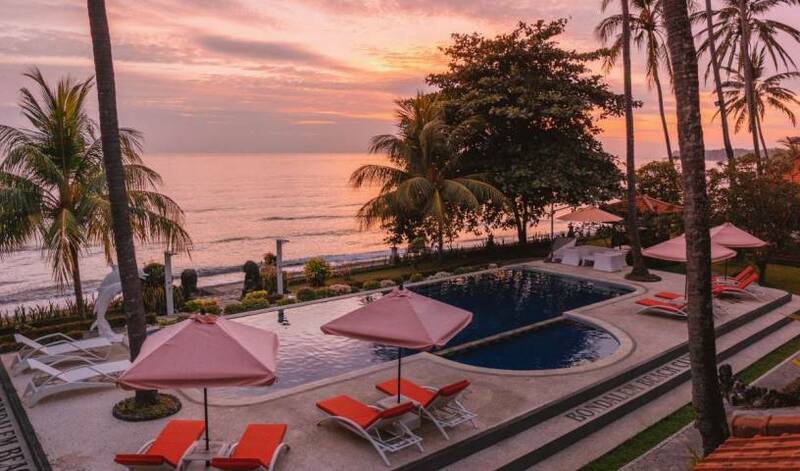 Double storied beachfront bungalow with king-size bed on the second floor and 2 sofa beds on the first floor. 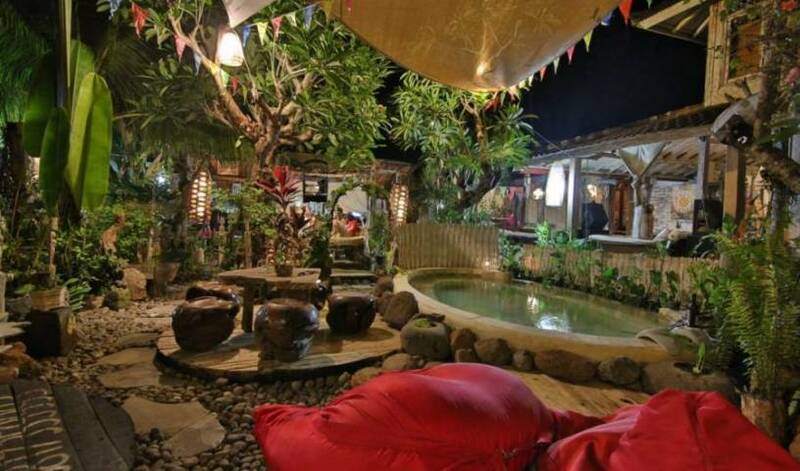 Kayun hostel is in the heart of Bali's best hangout area, surrounded by clubs, bars, culture, shops and of course, Kuta Beach, all a within 500m radius! Suite Valley located at the below part of the property, equipped by king-size , day beds, hot cand cold shower, AC and antiques decoration. Suite Top Hills, two units twin bed rooms, located on the top area of the property, facing to the valley. The rooms could be connected for family. Set in a typical of classic and antique interior, large living room that is furnished with two sofa beds, tables and chairs to relax while over looking to the valley and rice hill view. 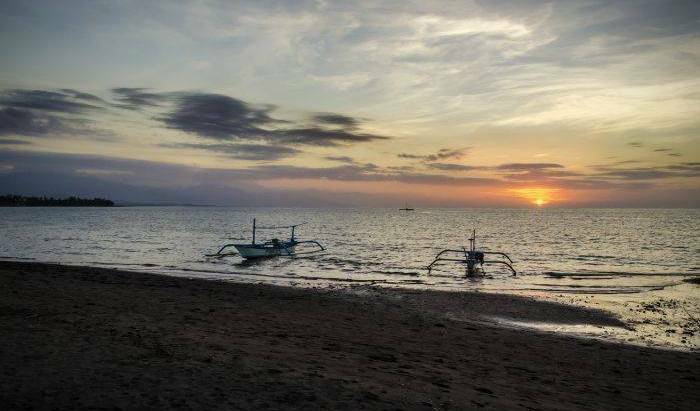 is around a one hour drive from Ngurah Rai International Airport. One bedroom villa are shared living room, with indoor shower. Deluxe villa has own living room, private garden, and indoor shower. 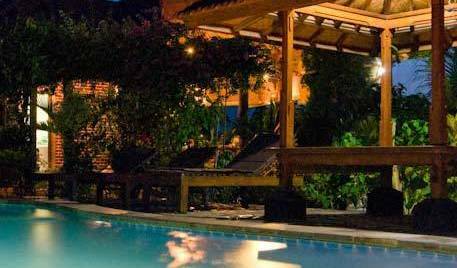 Family villa has two bedroom, with own living room, private garden and outside dining table. in double Room private ensuite room we are providing facilities such as: Hot showers, fan, Desk, Wardrobe, refrigerator, Balcony, Garden View and double bed The breakfast and Taxs is included on the rooms rate. in Superior double room private ensuite room we are providing facility such as: Hot showers, bath tub, celling fan, refrigerator, kitchen double + single bed and large balcony for relaxing and enjoy the breakfast. The breakfast and taxs is included on the rooms rate. Familiy Rooms and Ensuite we are providing facilities such as: hot and cold shower, fan , desk, wadrobe, refrigerator, balcony, Free Wi - fi, garden views, breakfast and taxa is included on the rooms rate. in Single private ensuite room we are providing facilities such as: Hot showers, fan, Desk, Wardrobe, refrigerator, Balcony, Garden View and double bed The breakfast and Taxs is included on the rooms rate. Welcome to DEMANK House we offer cheap prices according to your budget, with a location not far from the city center Ubud which is only 10 minutes' walking distance. We are located in central Ubud is Bali's tourism. We will make your holiday comfortable. De Ubud Villas & Spa lies at the very heart of Ubud town. 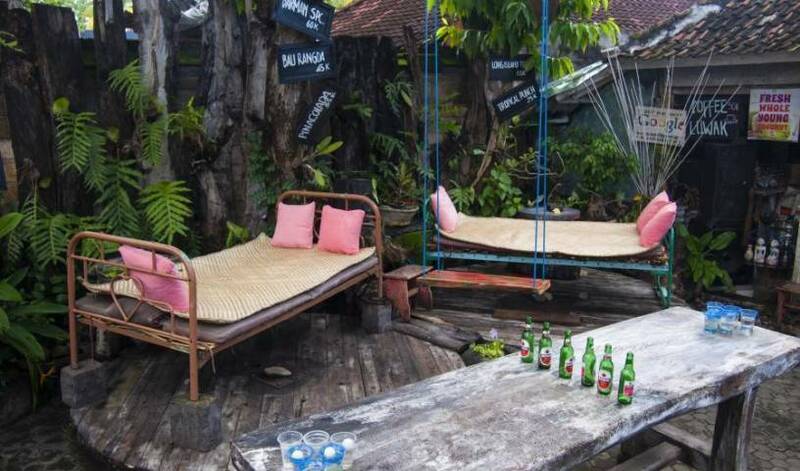 A Balinese traditional budget accommodation in the centre of Ubud, Bali.